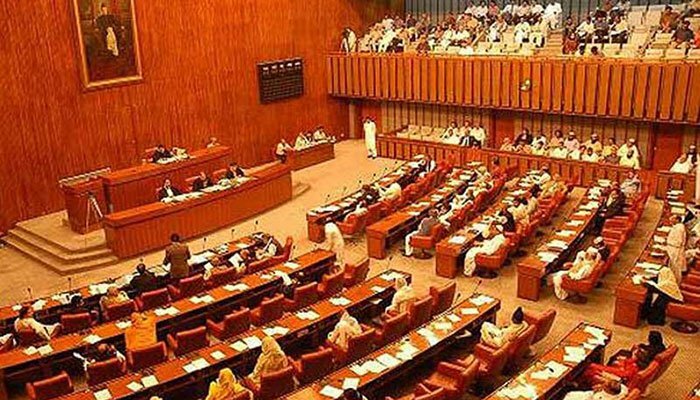 ISLAMABAD: The Islamabad High Court (IHC) on Monday called for the Senate’s debate record from the date when the Elections Act 2017 amendments were passed last year. Justice Siddiqui remarked that the court is interested in taking a look at those who voted in favour and against of the bill, adding that he is expecting the sealed envelope for his own knowledge and not to influence the legislature. At present, the IHC is hearing both the changes in oath case as well as the controversial agreement between the government and a religious party that had organised the Faizabad sit-in protest. Earlier, the government had submitted a report by the committee investigating changes in the Finality of Prophethood (PBUH) oath to the IHC. The committee, headed by Pakistan Muslim League-Nawaz (PML-N) Chairman Senator Raja Zafarul Haq, was formed to discover and disclose the identity of those responsible for making changes in the oath when the Elections Act 2017 was passed last year. The report besides Haq, included the names of Interior Minister Ahsan Iqbal and Climate Change Minister Mushahidullah Khan.